Please note that due to hall usage restrictions, alcohol is generally not permitted at our family friendly dances. Bushdance entry price includes a light supper with tea or coffee. Supper break is usually about 9:30pm. 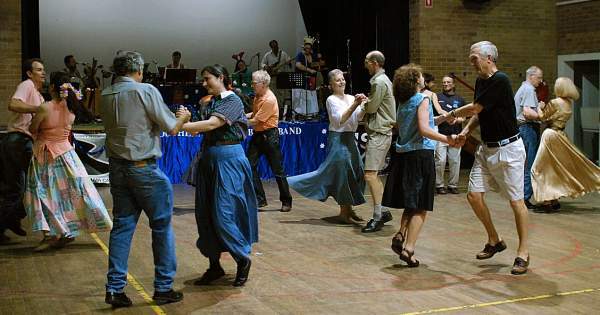 The Balmain Bush Dance, which was previously held at St Brendans, Annandale and prior to that at Glebe High School, has now been discontinued because very low attendances made it unviable.